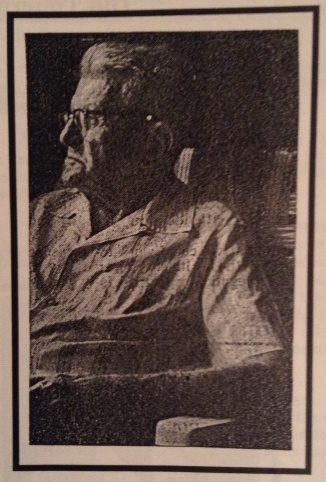 From “The Maxi Page,” The Randolph Guide Senior Adult Newspaper Supplement, published December 31, 1980. 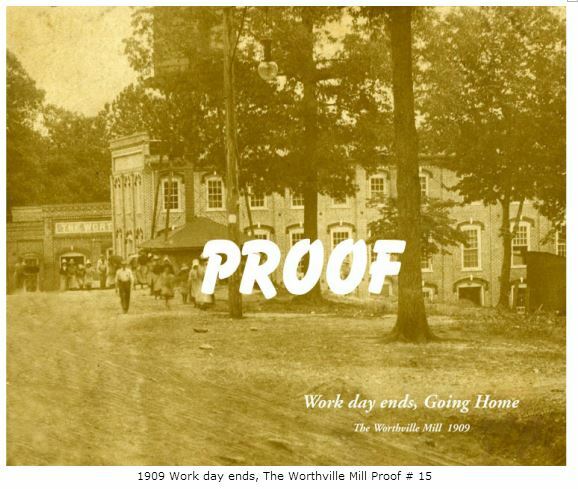 In 1868 the mill was sold to John Banner Randleman and John H. Ferree. 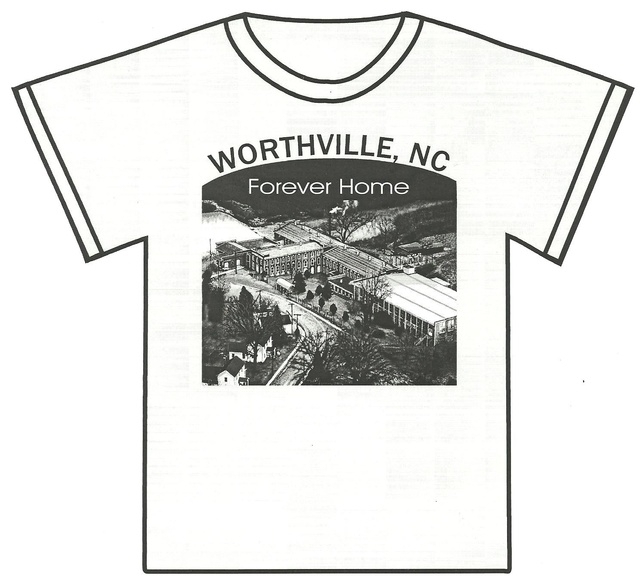 Randleman had been a factory superintendent for the Holt family of Alamance County, and formed his Randleman Manufacturing Company to compete with the Holts’ production of “plaids” gingham or checked material. One of Randleman and Ferree’s donations to the community was the second St. Paul’s Methodist Church building, the first brick church in Randolph County. The interior of the church, built in 1879, was decorated by Forsyth County artist Jules Korner. Ferree took control of the company after Randleman’s death in 1879. 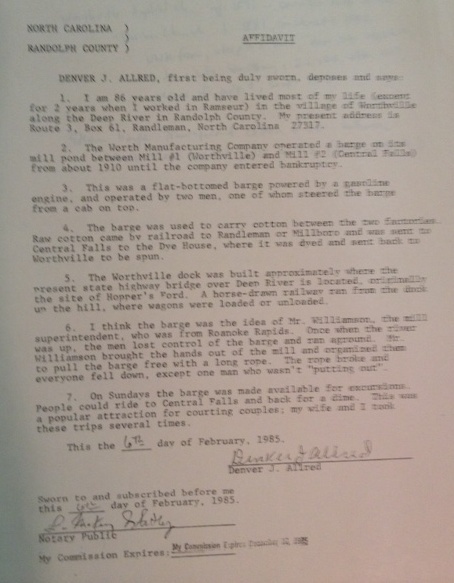 When Union Village was incorporated on March 29, 1880, Ferree asked that it be renamed Randleman in memory of his partner. now part of the City of Randleman. 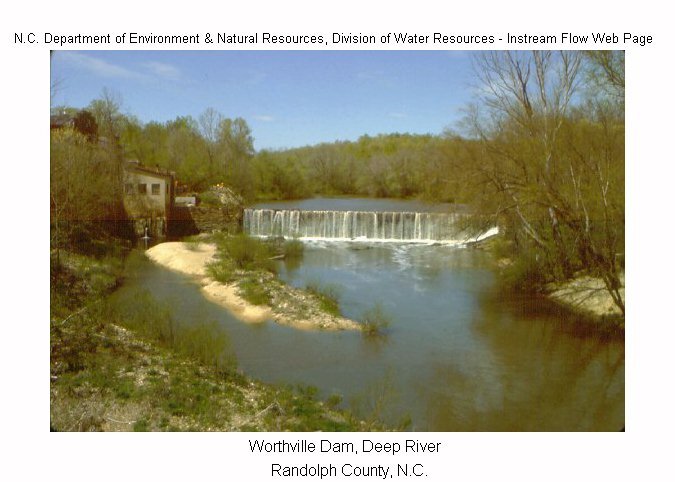 In June, 1911, the Randleman and Naomi Falls water-powered mills were consolidated with the Plaidville and Marie Antoinette steam-powered mills to form Deep River Mills., Inc. This conglomerate owned 150 dwellings and employed 800 of the town’s 2500 residents. In 1930 the corporation collapsed in the face of the Depression, leaving workers jobless until other textile operations moved into the facilities after 1934. The 1933 auction of the Deep River Mills property effectively ended the historic textile operation. Today four of the mills are used as warehouse space; the Naomi Falls factory is operated by J. P. Stevens. The Cedar Falls Factory (“Sapona Cotton Mills”) and Covered Bridge, ca. 1940. 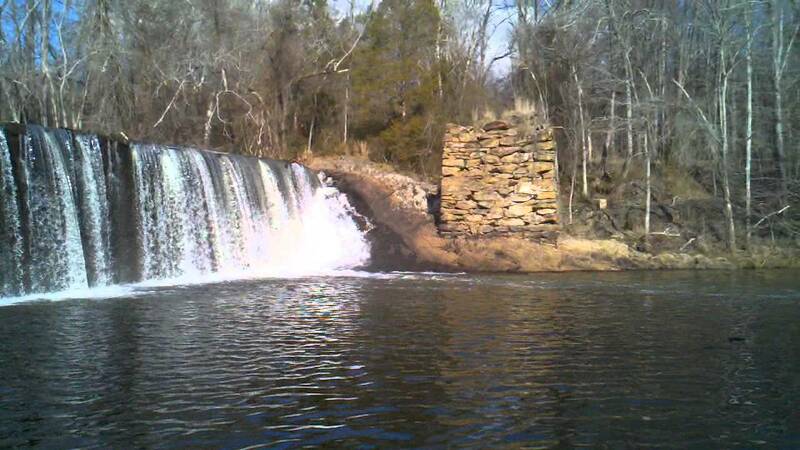 The first textile factory on Deep River was built at Cedar Falls. 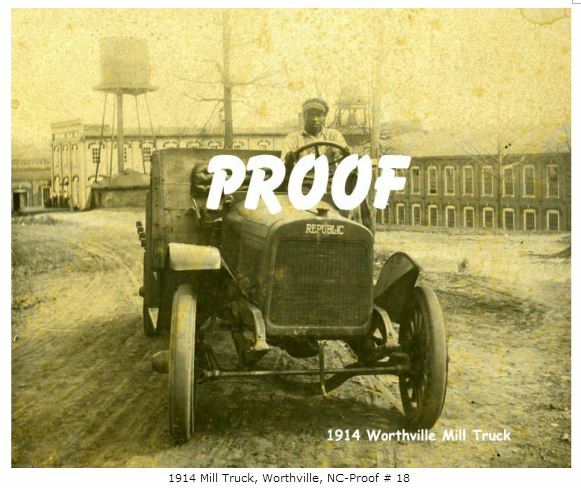 A group of Asheboro lawyers and businessmen began to promote development of such a factory in 1828; “The Manufacturing Company of the County of Randolph” was incorporated by the state legislature in February 1829. 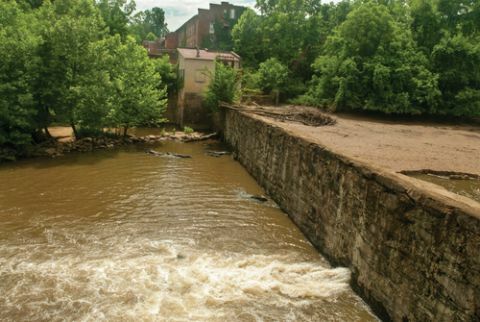 The Elliott family of Asheboro provided their grist mill site on the river to encourage investment, but the stockholders were unable to raise enough money to start construction until 1836. A wooden building housing 500 spindles was erected and powered by an overshot water wheel. The company was re-chartered in 1846 so that a new brick mill building could be built. At least two walls of this 3-story structure survive today. 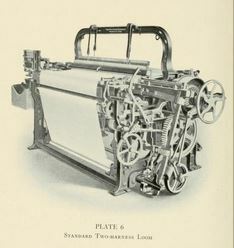 In 1860 the mill operated 1500 spindles and 38 looms. producing both yarn and sheeting material. The company was one of the first in the state to use a brand name, “Cedar Falls,” on all its products. George Makepeace, a Massachusetts native, and his son, George Henry, were both superintendents of the mill during the nineteenth century. Governor Jonathon Worth one of the original 1829 incorporators, was president of the company at his death in 1869. His brother, Dr. J.M. Worth, became president and reorganized the company in 1877. At the same time Orlando R. Cox resigned his elected office of Sheriff of Randolph County to become general manager of the Cedar Falls Manufacturing Company. On the steps of the Cedar Falls office: unknown, Orlendo R. Cox, Fletcher Cox, unknown, ca. 1890. By 1884, under Cox’s leadership, the mill had grown to include 2,144 spindles, 30 looms and 90 employees. About 1890 he built his large Victorian home on the hill overlooking the mill; in 1895 he built a second factory, the “Sapona Manufacturing Company,” downstream from the original mill. Cedar Falls’ best-remembered period of management began in 1939, when Dr. Henry Jordan, brother of Senator B. Everett Jordan, bought the village. In 1978 Jordan’s heirs sold the property to Dixie Yarns, Inc.
You are currently browsing the archives for the Textile History category.